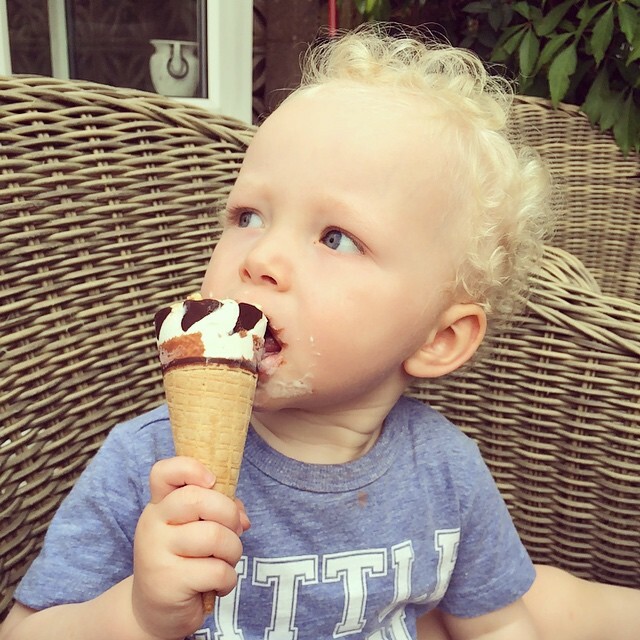 Nothing is going to put him of eating that ice cream is it! Great pic for a hot day. Your son is so cute.